Reports detail Abu Ghraib prison death; was it torture? 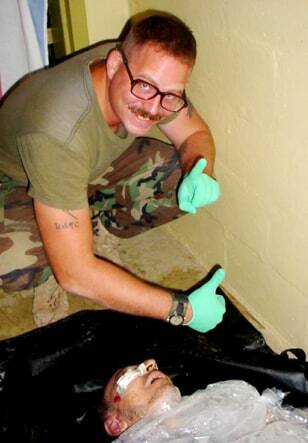 The body of an Iraqi who died while under interrogation lies in ice as Pvt. Charles Graner, a guard who has since been sentenced to prison, poses for a photo.